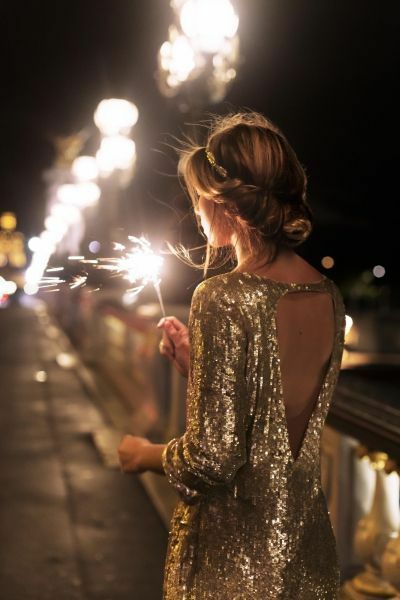 New Year's Eve is the best time to wear all glitter and sparkle. It's the time for glamour and over the top, fun looks. However, not everyone has the same taste, which is why today's inspiration includes different styles perfect for this occasion. You can look festive and glam in sequins, but also in lace or velvet. Not everyone enjoys dresses, so you'll also find outfit inspirations including pants and jumpsuits. Have you decided your New Year's outfit yet? Aww I love all of these selections! Sequins, velvet, and jewel tones are all so perfect for NYE outfits! Thanks so much for sharing and I hope you have an amazing NYE celebration girl! All theses outfits are so georgous. I know it's late, but this inspo is amazing!